Canon is one of the most popular printer brands. Their printers are affordable and reliable and come in a range of styles and sizes. A Canon printer will allow you to print documents, family photos and train or plane tickets from the comfort of your own home or office. Knowing you can print out leasing or tenancy agreements, contracts and legal papers as well as your other important documents at the press of a button will give you peace of mind. Canon printers are able to handle all your printing needs. 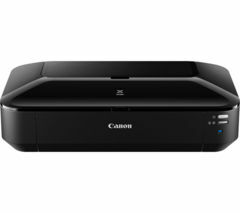 If you’re looking for convenience, choose a wireless Canon printer to enable you to fire off high quality prints from your Smartphone, tablet, laptop or any other internet connected device. 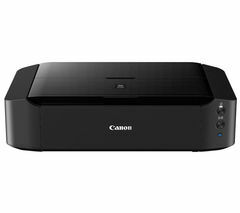 The Canon PIXMA MG5650 All-in-One Wireless Inkjet Printer is Apple AirPrint and Google Cloud Print compatible and will quickly and easily connect with your devices so you can print off high-quality images and documents without having to transfer your files first. And the results are always great as this printer has an incredible resolution of 4800 x 1200 dpi. Whether you’re buying your first printer or you’re looking to upgrade to a newer model, a Canon printer will provide high-quality prints every time you use it. Other great printer models we sell include Brother and Samsung .